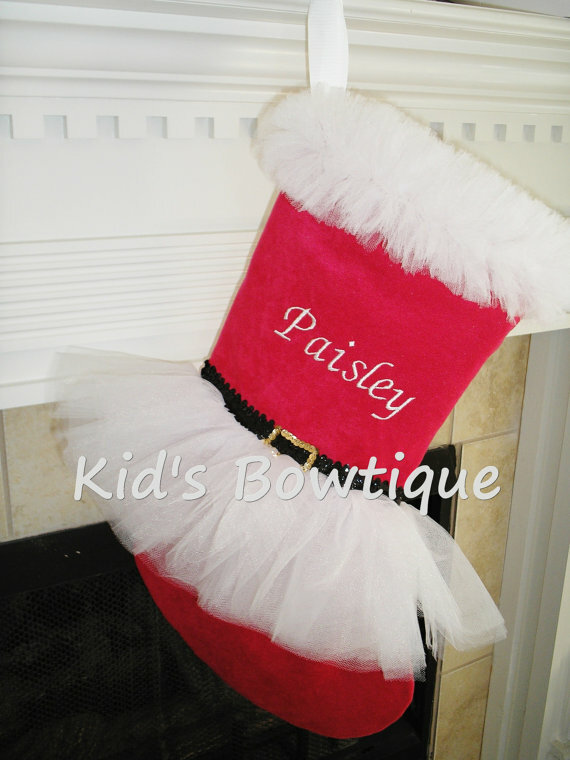 Kid's Bowtique has designed a unique monogrammed Mrs. Santa Claus Christmas tutu stocking. It is made of high quality red fabric. The Christmas tutu stocking is a nice large size, approx. 21 inches long and 11 inches wide at the "foot". A red (or white) tulle tutu is added for uniqueness, black sequins belt for dazzle, white tulle "fur" (or fabric fur) for style, and embroidery in white thread for personalization! The back is solid red fabric.